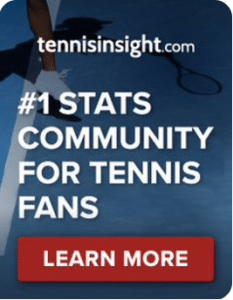 WTA Bogota, Second Round: Bogdan v Sorribes Tormo | Tradeshark Betfair Tennis Trading Blog!Tradeshark Betfair Tennis Trading Blog! They have played twice before and won one match each. Their most recent match was in Monterrey in April 2018. Bogdan won in straight sets on a hard court. Sorribes Tormo won on clay in 2016 when Bogdan retired at 5-1 down in set 3. Overall results strongly favour Sorribes Tormo in the last 12 months and also in 2019. Bogdan has won 1 of her 8 matches this season. Sorribes Tormo’s clay results are significantly better. She leads 71% v 42% matches won in the last 12 months. Bogdan’s only decent clay result in the last 12 months was at this tournament in 2018. She reached the semi finals where she lost in 3 sets to Julia Goerges. That should motivate her. Sorribes Tormo only reached the second round last season but made the semi finals in 2017. She beat Christina McHale in straight sets in the last round. She pushed Sloane Stephens to two tie breaks last week. Bogdan will fight hard to defend her ranking points but I have to favour Sorribes Tormo to win. Back her around 1.70. Update: Sorribes Tormo was broken in her first service game but immediately broke back. She took the set. Bogdan fought back to take it to a deciding set. Sorribes Tormo took a 4-0 lead in the 3rd set but Bogdan pulled back to 4-4. Another break gave Sorribes Tormo the chance to serve for the match which she did successfully. Sorribes Tormo won 6-4, 4-6, 6-4. This entry was posted in Daily match picks and tagged betfair tennis trading, bogdan v sorribes tormo, bogota, free tennis tips, low risk tennis trading, strategies, tennis trading, tradeshark by .Bookmark the permalink.